A key factor for an effective public sector reform is increased social and political participation in decision-making concerning the availability of universal service programs. However, recent instances of government administrative reforms in some developing economies show community participation, mostly in the form of consultation rather than decision-making. Community coordination and consultation was present in the elaboration of the Development and Poverty Reduction Strategy paper (SDPRP). It was coordinated by a national steering committee composed of ministers and a national technical committee composed of professionals drawn from poverty-oriented federal sector ministries/government institutions. The consultation process started at the local government level followed by regional and federal level consultations. It included the participation of representatives of all stakeholders (e.g., government institutions, private sector, the donor community, nongovernment organizations (NGOs), and civil society, whose major actors included the Consortium of Christian Relief and Development Association (CCRDA) and the Council for Democracy and Human Rights Association (CDHRA). Community participation in service delivery has been also expressed through direct financial or in-kind contributions toward the improvement of the service. Contributions were made to the establishment or maintenance of a facility, management of schools or payment of teachers. In the Ethiopian regions of Amhara and Oromiya, communities made contributions for building and rehabilitating schools during 2004 and 2005. In a few cases, contributions paid the salaries of school guards, teachers and facilitators. According to the World Bank, in the Southern Nations, Nationalities and People’s Region (SNNPR), community contributions were used to maintain classrooms and to purchase desks and other materials. Similar community participation has been made toward the improvement of water supply and sanitation. Community participation has also been used to enhance accountability. This includes citizen monitoring of municipality performance indicators that have been previously agreed on with the region such as the ones implemented in the SNNPR region and community scorecards such as the ones developed in the regions of Afar, Dire Dawa, Oromiya, SNNPR and Tigray. But there is little evidence of participatory planning. According to the U.S. Agency for International Development, the organizational structure of most regional and local governments does not support community reaching. 1. Awareness building/consultation. It took place at the departmental and sectorial levels and involved officials at both the local and national levels, representatives of targeted thematic areas and the most vulnerable groups. 2. Participatory phase. It was conducted on a thematic basis in the municipalities and departments. This phase involved participants from different sectors: NGOs, private sector, state actors, cooperative associations, universities, financial institutions, farmers, and producers associations and artists. The participatory approach was conducted through a series of meetings, seminars, workshops, and forums held at all levels. The awareness phase involved awareness-building workshops, thematic workshops and departmental workshops. Ten awareness-building workshops were organized in Port-au-Prince. They brought representatives from the government, Parliament, central, deconcentrated and decentralized administrations, NGOs and organized groups. Ten thematic workshops were organized focusing on human development, good governance and growth. Ten departmental workshops were also held. Ten municipal validation forums were organized in the municipalities classified as the poorest (in terms of access to educational services, health, running water and sanitation). Four departmental validation forums were organized covering the North, Central, West and South regions. Citizens discussed public policy proposals in the areas such as education, health, rural development, infrastructure, risk and disaster management and gender equality. Finally, a national validation forum was held in Port-au-Prince Sept. 26, 2007. It aimed at building a consensus around the outcomes of all the preceding phases. At the national level, the Agenda 2025, which was developed during 2001-2003, looked at participation as the key element for the whole process. Consultation activities included: meetings with NGOs, professional associations and meetings in district and province capitals to collect popular expectations from the health sector, trade unions, public sector, press, traditional authorities, students, education sector, religious organizations, private sector, political parties and civil society. At the local level, municipal officials tried to involve citizens in the everyday actions of government. In Manihca, the municipality held monthly meetings in neighborhoods where they released government plans, reported results of the implemented activities, and listened to citizens. 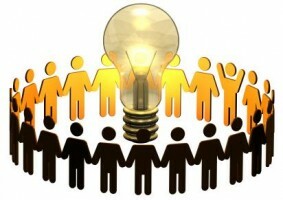 Moreover, they have developed partnerships with organizations to improve citizen participation. In the Dondo municipality, consulting councils were used to connect with civil society institutions, consulting forums serve to meet with company directors located in the municipality, and frequent meetings were organized to discuss plans and budget with the population according to Davila, Kyrou, Nuñez, & Sumich. In Maputo more elaborate dialogue mechanisms with citizens have been adopted. Under the Maputo Municipal Development Program, three report cards were completed in 2007, 2008 and 2009/10. Municipality staff was required to participate in forums with citizens to discuss the findings of the report cards. According to the World Bank, the report cards helped to improve the dialogue between the City Council of Maputo, the residents and suburbs. Major comprehensive strategies to transform public sector in the three countries described above have considered stakeholders and civil society participation through diverse consultation mechanisms. But, overall there is little evidence of participation in planning and decision-making. In this vein, workshops, seminars, and validation forums at all levels with a focus on participation in the decision-making process should be developed.